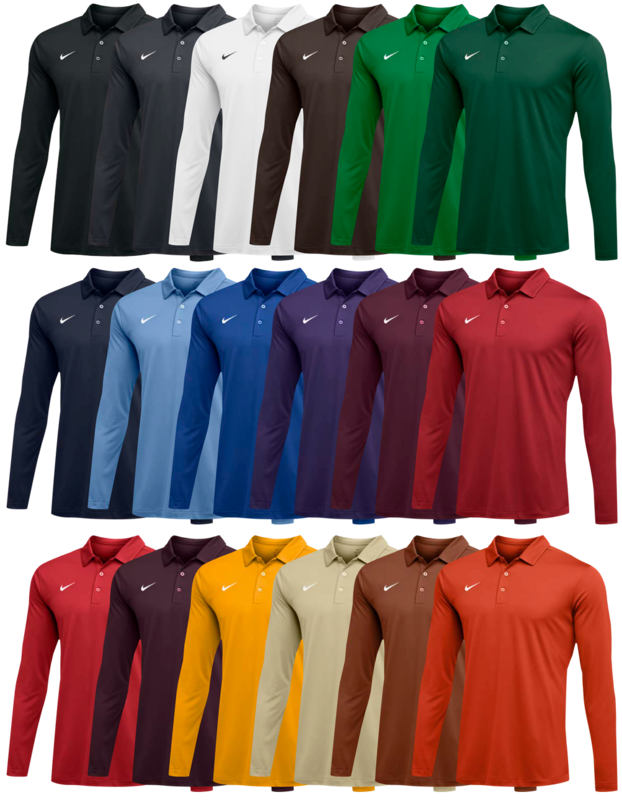 This long sleeve Nike custom embroidered polo shirt has a Dri-FIT double knit flat back mesh body fabric with self collar. Solid design with not contrasting panels or trim. 3 Button front placket. Embroidered Swoosh design trademark at right chest. 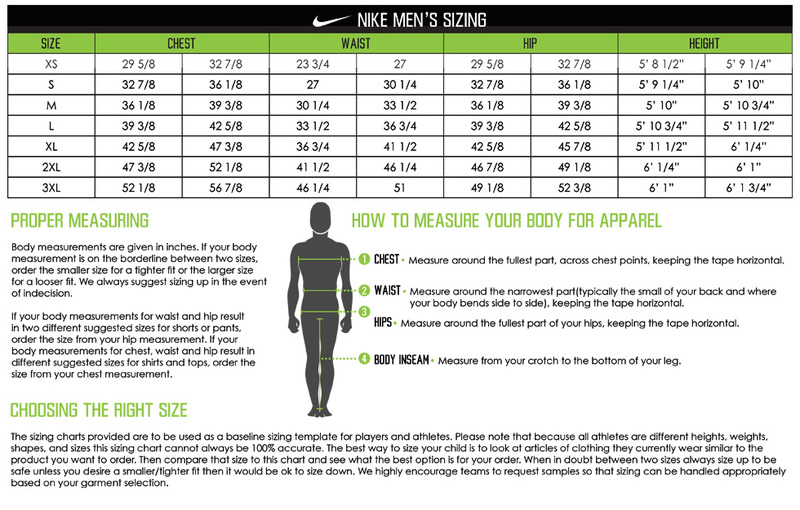 Body width: 23.5”, Body length: 31” (size large). Perfect for coaches or training staff. Customize with your team logo and player numbers for custom look that is all your own with our high quality embroidery or digital transfer decoration options.